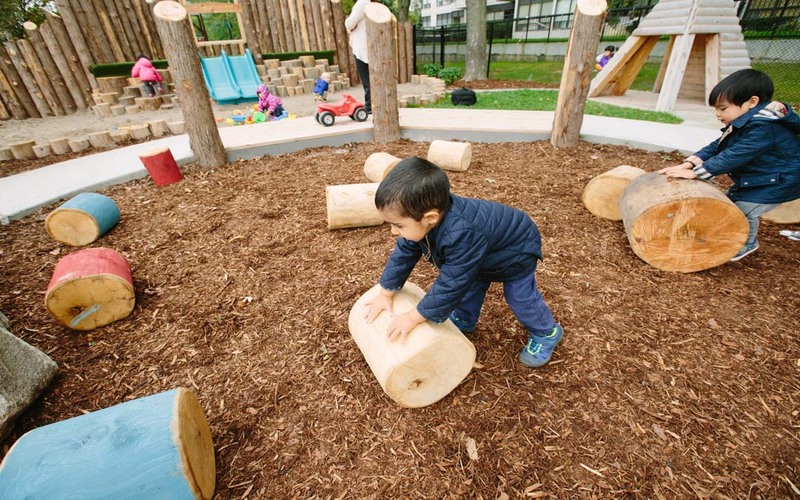 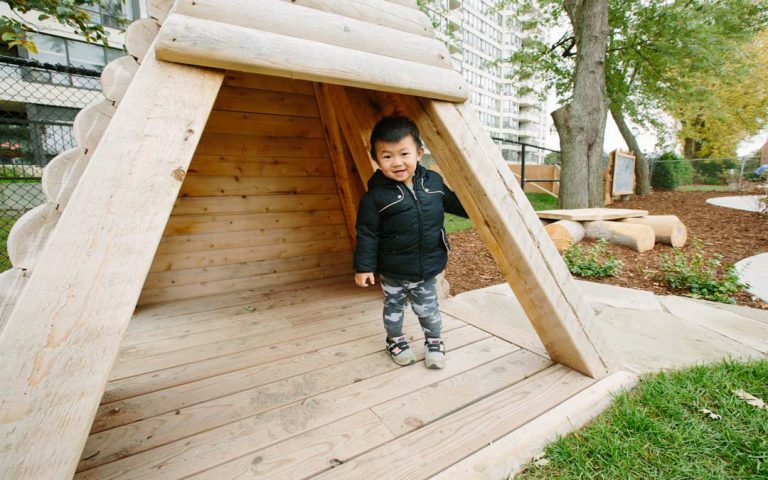 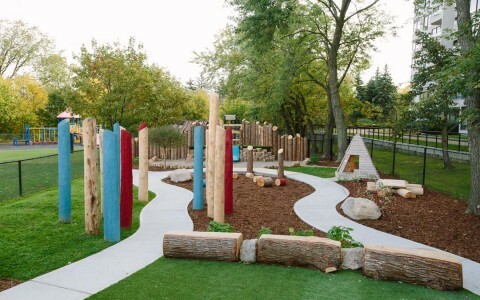 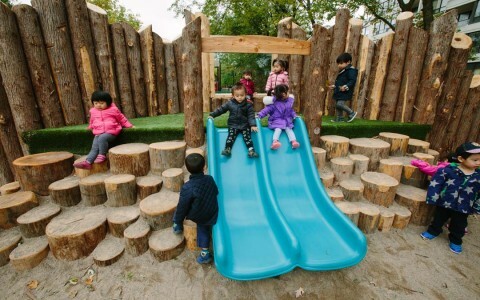 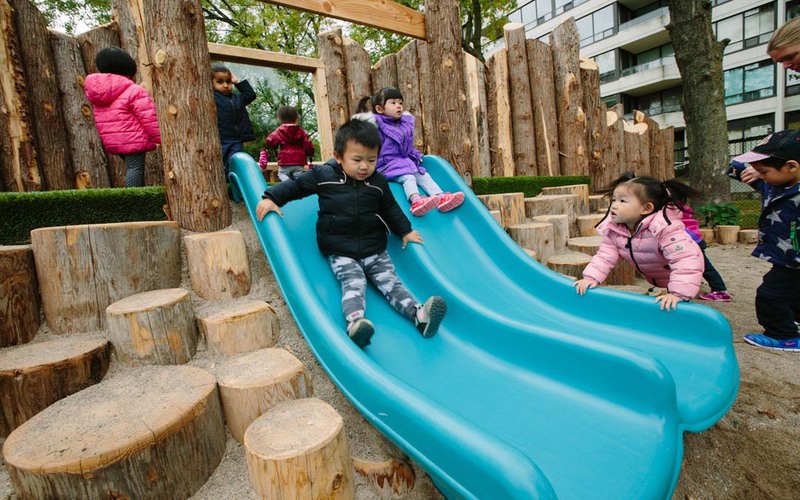 This childcare playground design features a naturalized space which has many fun and exciting elements throughout. 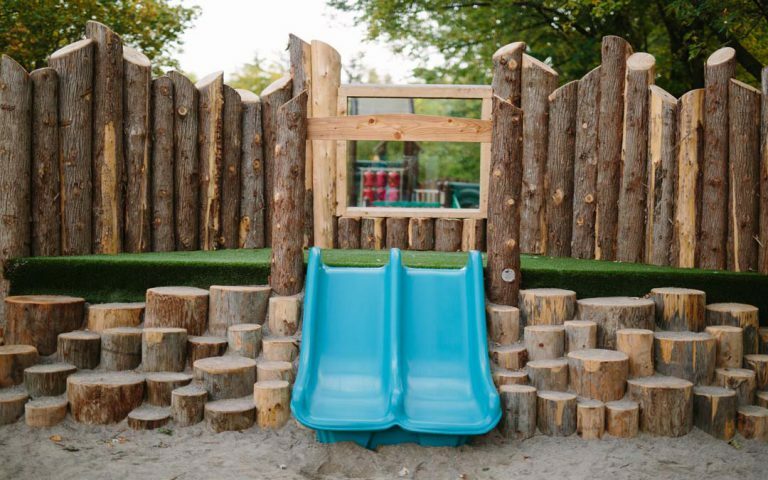 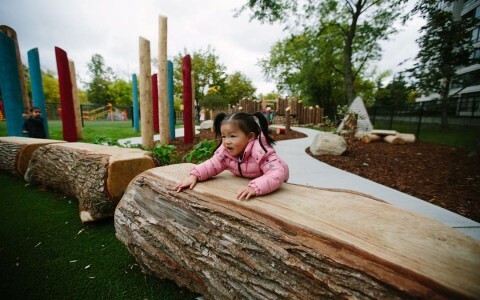 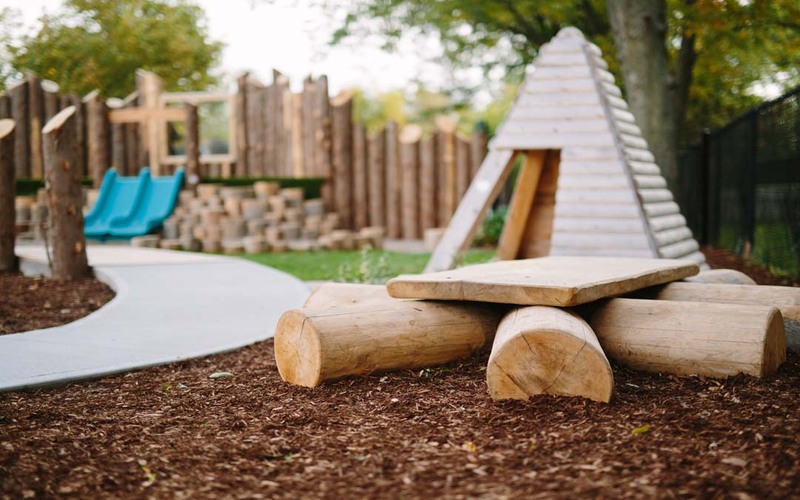 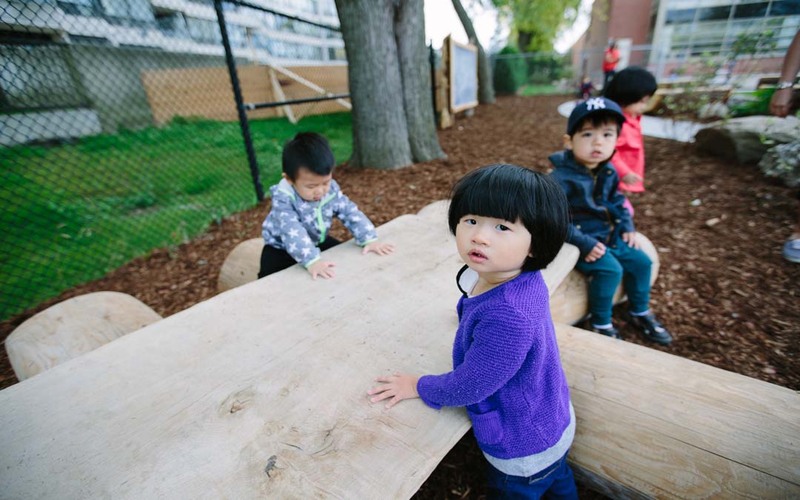 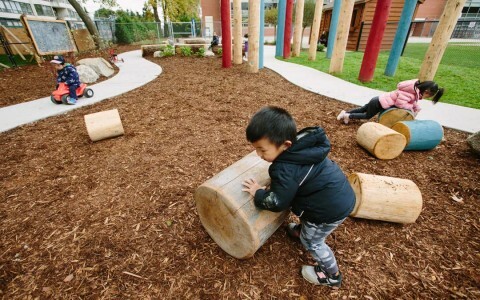 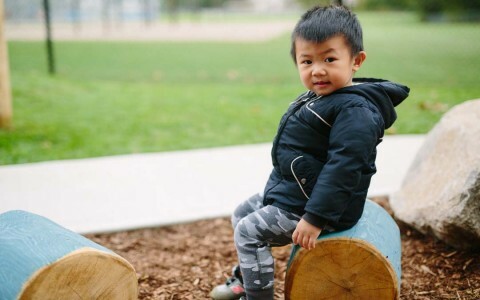 At the back of the site, a cedar palisade wall frames the space, providing a backdrop for the playground and also housing the hill slide and log climber. A tempered glass window at the top of the slide allows kids to peek over into the adjacent playground. 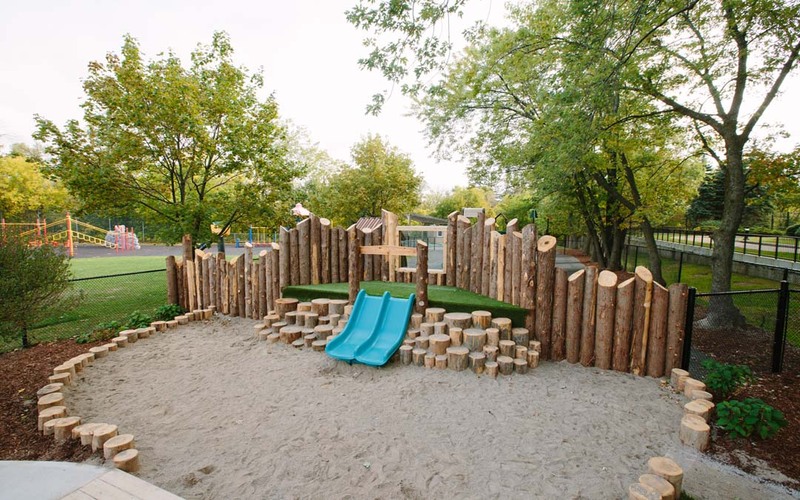 The Aztec hut and circular fort flank the sand area, creating spaces for imaginative play, while a deck bridge doubles as a stage, which the kids can use to put on performances for each other. 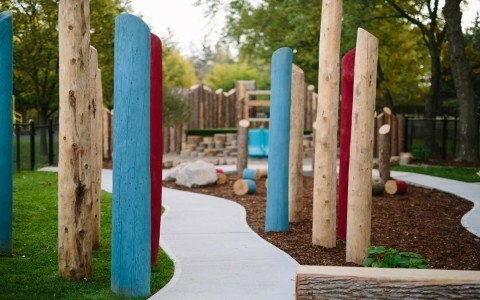 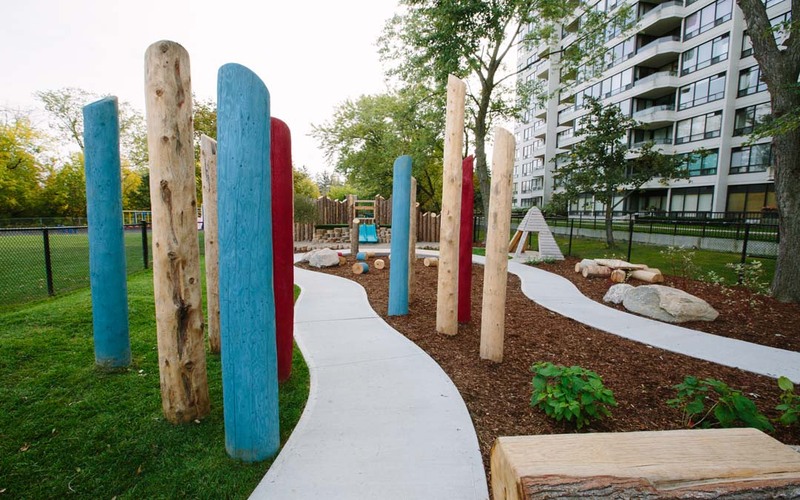 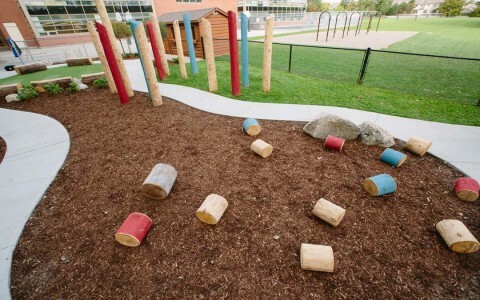 A mixture of stained and natural play posts, combined with small berms, are simple elements that set the scene for games and active play. 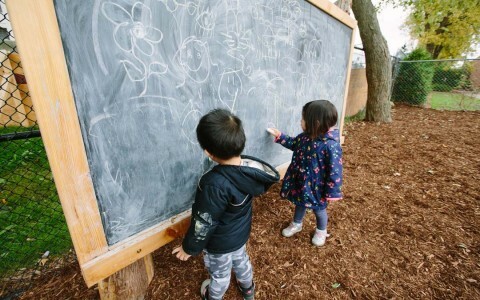 Under the canopy of mature trees you will find a discovery table and chalk board, to encourage learning and creative discovery. At the front of the site, an open circle with oak benches and artificial turf provides a wonderful place to gather. 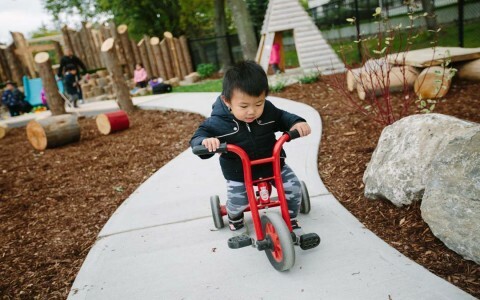 The entire site is linked together by the concrete path, which meanders in a loop, ideal for trikes and running. 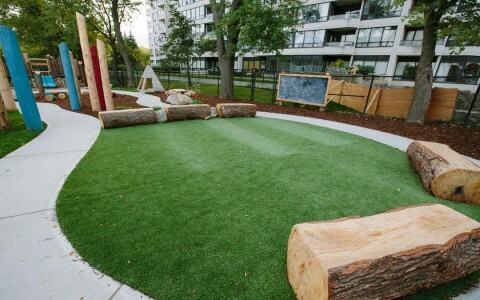 Planting and boulders complete the design, providing greening and visual interest.